Your inquiry is of great value to us; one of our destination specialists will be in touch with you soon. You could also contact us on +94 (0) 777 300 852 for any immediate travel inquiries. Blue Lanka Tours has been in the travel and tourism industry for over 9 years and has successfully completed 3500+ tours in Sri Lanka. 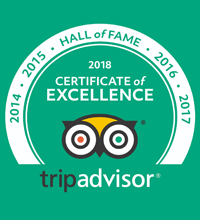 As a result, we have earned more than 1000 reviews on Trip Advisor, along with 5 consecutive years of Excellency Awards from them. We have a customer base from 180 countries who have had very positive travel experiences with us, determining us to staying committed at serving you to the best of our potential.